Last Boxing Day weekend, after months of feeling bloated, I decided to take action. I wasn't motivated to go to the gym anymore, so I bought a treadmill for my home. And, much to the surprise of all those who said it would be a clothes hanger in two months, I have been diligently using it ever since. The mill (as I affectionately call it) was especially wonderful in our long Ontario winter. I began using my time on the treadmill to learn. It was great for the body and mind. During the day I would pin article and videos I came across but did not have time to explore in depth to a professional Pinterest board (my board is here if you want to follow me). In the evening, I would go back and explore what I had posted. If I hadn't pinned something I would explore Twitter (such a rich resource for PD), or listen to a podcast (which I have blogged about before here). I was learning so much and loving it. I looked forward to my learning time every night. I felt mentally healthy since I no longer felt pulled to get exercise or learn - I could do both. 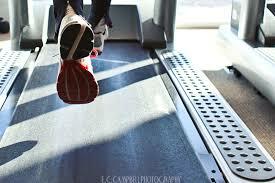 When I tell people about my #TreadmillPD they are often in awe..."How can you run and read?!" Let's be clear....I am a brisk walker. I am sure with practice I could do both - I have run two 5km races in the past, and I would LOVE to be a "real" runner, but for now, this is what works. Also, don't get me wrong, some days I still binge some TV, or watch the Toronto Blue Jays games, but most of my time is on PD and I find it so fulfilling.